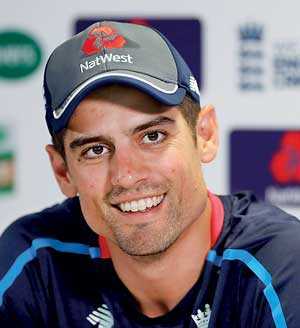 LONDON (Reuters): Alastair Cook, England’s leading test run-scorer, is to retire from international cricket after this week’s fifth test against India, the 33-year-old said on Monday. “There are too many people to thank individually, but a special mention must go to the Barmy Army and all supporters for their constant encouragement for the team and also a special mention to Graham Gooch,” Cook said.“Graham was my sounding board, especially in the early years of my career, spending hour after hour throwing balls at me with his dog stick. He made me realise you always need to keep improving whatever you are trying to achieve. Cook led England to two Ashes victories over Australia but suffered a 5-0 series whitewash Down Under in 2013-14. He resigned from the captaincy in 2016 after a 4-0 defeat in India. England took an unassailable 3-1 lead in the current series against India after winning the fourth test by 60 runs in Southampton on Sunday.